Autumn has begun and it brings a lot of good stuff! Have you heard about the Day of the Death in Mexico? Well, although this is a November celebration, all the party begins at the end of October. 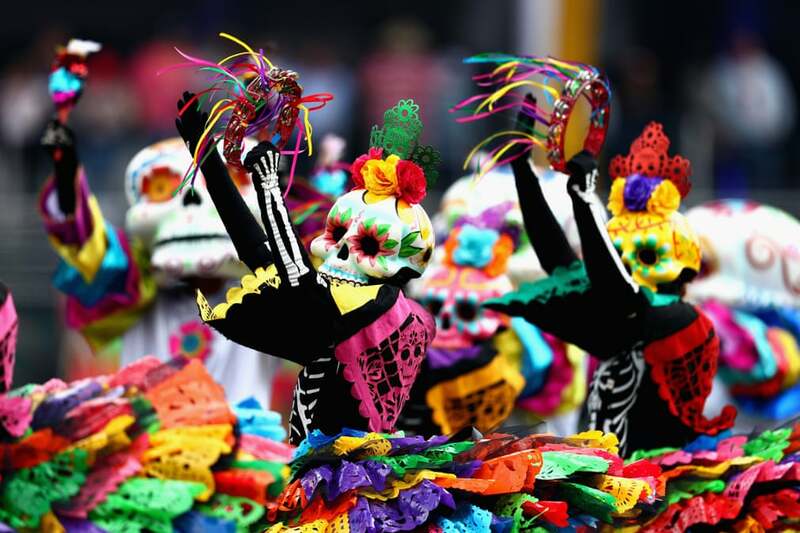 The Day of the Death is a pre-hispanic tradition full of color and it’s very important for Mexican families. 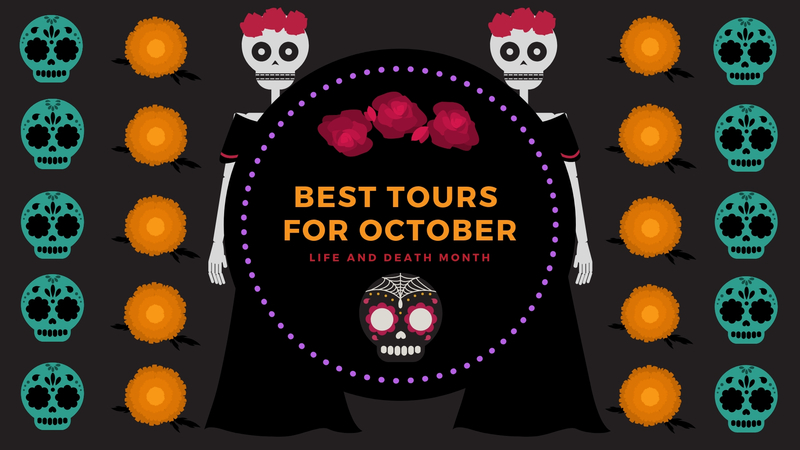 For that reason in this month, we are going to introduce you to these festivities with the best mexican tours for October to connect yourself with the spiritual world. Either if you are a solo traveler or you are traveling with family and friends, we introduce you to experiences that will take you through the Mayan Underworld. 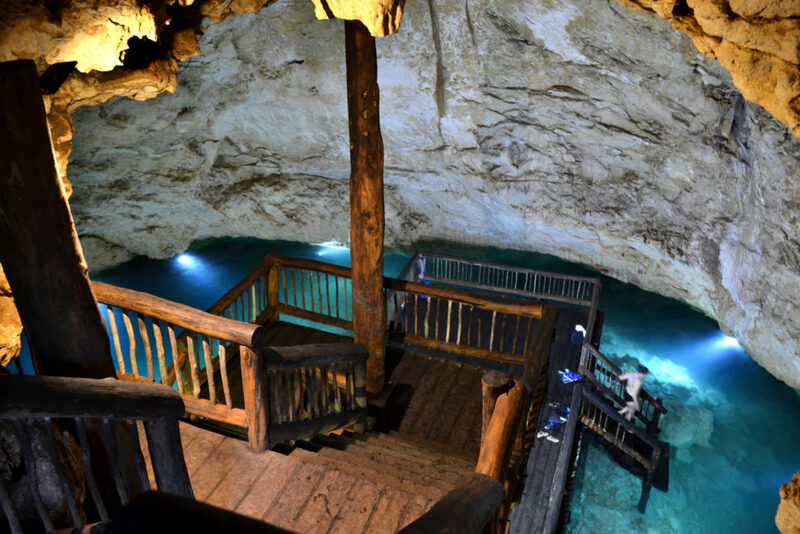 One of the most beautiful natural wonders of Yucatan are the Cenotes. They are sinkholes with an underground water system. 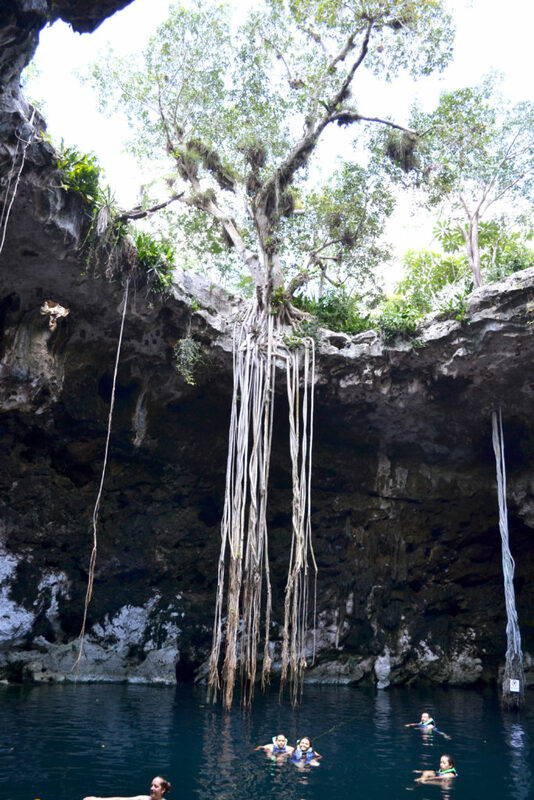 These geological formations were considered sacred for the Mayan civilization as they represented a connection between the living and the Xibalbá, the Mayan underworld. Through them, they could reach their gods and show them their appreciation by sending gifts. Get impressed by this magical beauties joining this unique adventure. Check out here all the inclusions! If you prefer a private trip, this is your best option! 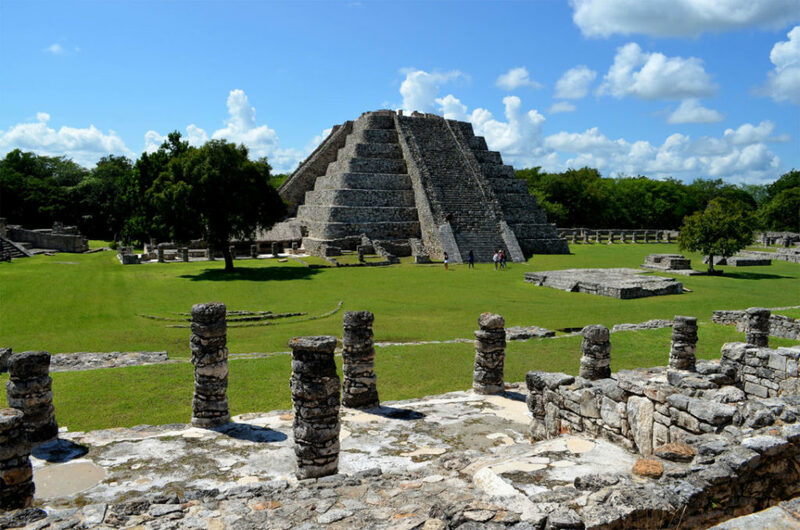 In this tour you will visit a beautiful cenote and discover Mayapan, the last big capital of Mayan Culture in Yucatan. More than that, you will enjoy a local experience having lunch in a Mayan house; there you will share some time with the family and surely, they will share with you interesting information about their traditions. Learn more about this tour or contact us for more information. 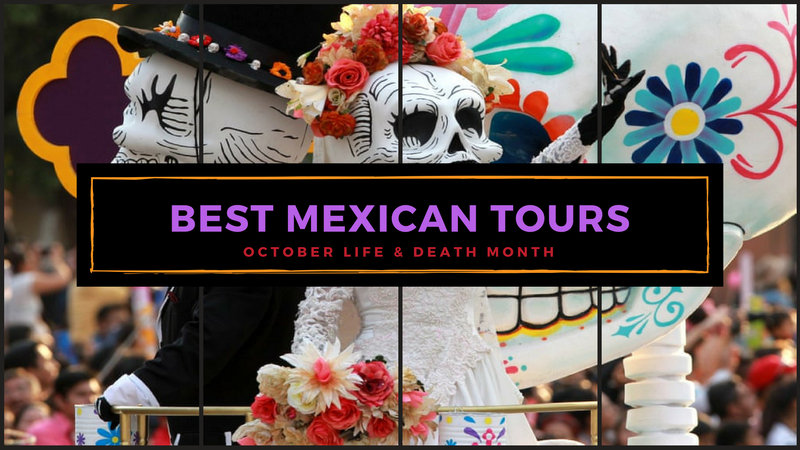 Besides our tour recommendations, here are some of the Mexican events you can’t miss this month! 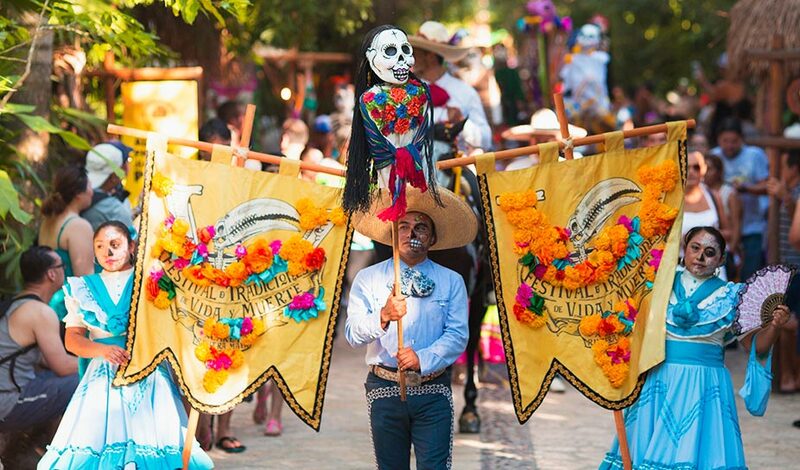 Inspired by James Bond Spectre Parade Scene, the Ofrendas Moviles Parade is one of the most colorful representations of death in Mexico. You will find an amazing diversity of Catrinas dancing and playing musical instruments. It takes place all around Reforma Avenue beginning in “La Estela de Luz” and finishing in the Zocalo. Learn more about The Death Celebration in Mexico City and prepare your schedule! October 31st: Not Halloween day, of course. This is the first day and it’s dedicated to the little ones. Families remember their children that have become angels. Altars for this day are very colorful decorated and full of candies and toys. November 1st: All Saints’ Day. This day is for those that have already passed the purgatory and are currently enjoying the paradise in heaven. It’s an adult altar and includes drinks, cigars, bread and the deceased’s favorite dishes. November 2nd: All Souls’ Day or the Day of the Death. Last day of celebration dedicated to all those who are passed away. Families believe the souls of their deceased relatives visit the land of the living to “eat” their favorite food. If you are planning to visit Merida city, you must be part of Festival de las Ánimas 2018. You will discover much more about Hanal Pixan and taste the most delicious dish that all Yucatan people wait all over the year: El Pib. El Pib is a really big Tamal cooked in the mayan traditional way, inside an natural oven under the ground. Check out all the festival schedule and enjoy! 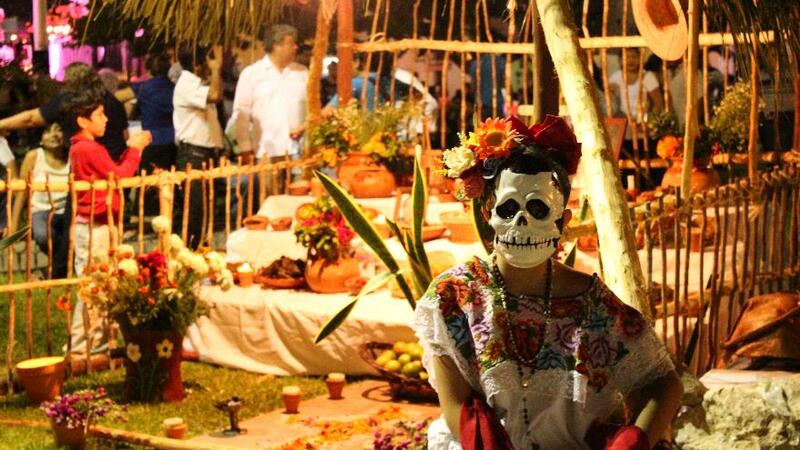 Celebrate at Xcaret the returning journey of the souls at the Festival of Life and Death Traditions. On one hand you will be enchanted by all kind of artistic activities as Dance, Theater and Music. On the other hand you will enjoy the Mexican traditional gastronomy and discover the most delicious dishes. Feel near this beautiful Mexican tradition and rediscover the value of life.  Check out here all the kind of admissions and learn more about the program. If you are planning a group trip adventure in Mexico, we can help you create your itinerary and include any of this experiences. Learn more about our group tours options or customize your own itinerary here. Traditions are beautiful, aren’t they? If you want to know more about The Day of the Death in Mexico check out this article. Aren’t you excited now? What are you waiting for? Arrange your next adventure in Mexico and keep on traveling!